Most readers know Adriana Trigiani from her Big Stone Gap series, but she also writes great standalone novels. One of her most popular titles is Lucia, Lucia. 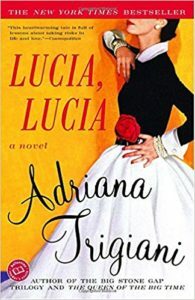 In 1950s New York City, Lucia Sartori is a young apprentice to a new fashion designer. Lucia is engaged to be married, but her fiancé’s family doesn’t approve of her working. Forced to choose between marriage and career, she chooses her dream job. When a handsome stranger captures her heart, she believes in his dreams. The world of the New York fashion scene is richly detailed. Readers who love stories about family, fashion, and New York will enjoy this book. FBI agents Jessica Harlow and John Shepherd didn’t exactly bond during their training six years ago. When they’re paired together for an undercover assignment, sparks fly and banter ensues. With charming characters and witty dialogue, Julie James pens another smart contemporary romance. 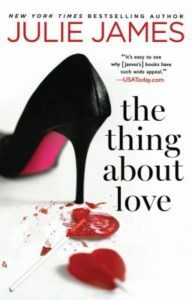 If you enjoy Susan Elizabeth Phillips, try The Thing About Love. In this charming romantic comedy, author Elinor Lipman writes lovable characters, smart dialogue, and zany situations. Thirty-something Faith Frankel returned to her small Massachusetts hometown after a stint in New York City. She spends her days writing thank you notes as a fundraiser for a local private school while her fiancé “finds himself” on a walk across America. Faith impulsively buys a semi-decrepit cottage, setting off a hilariously bizarre series of events (including a mystery). 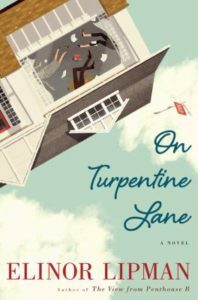 On Turpentine Lane is a gem, deserving of a read or listen (narrated beautifully by Mia Barron). I can’t wait to read more by Lipman. 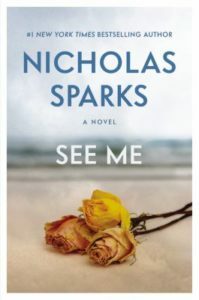 As with all of Nicholas Sparks’ novels, a developing romance is central to the story. In See Me, an unlikely pair meet and are shepherded together by the sister and friends. The reader wonders how a traumatized and tattooed cage fighter (Colin) with a criminal past could hit it off with a young woman lawyer (Maria) fresh from the county prosecutor’s office. And also fresh is the senior partner in Maria’s new firm where she hopes to advance, maybe to partner. More amazing are the changes in Colin’s life: he is now studying hard with the goal of becoming an elementary school teacher. Yet persons from Maria’s past bring trauma and thirst for revenge to the story so the reader has an exciting ride as danger enfolds and challenges the characters. Sophie Kinsella introduces another delightful character in Katie Brenner. In My Not So Perfect Life, country girl Katie is fulfilling her lifelong dream of living and working in London. According to her Instagram account, life is rosy. And yet, reality is quite different. 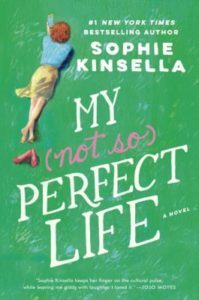 In this fast-paced witty novel, Kinsella covers workplace culture, social media “truth” vs. reality, and making assumptions/being quick to judge people. A fun yet thought-provoking look at life in the 21st century. When librarian Nina is made redundant, she decides to follow her dream of owning a bookstore. With a gift for connecting people to the right book, she buys a van, which she christens “Little Shop of Happy-Ever-After.” However, making her business work is not an easy task. With limited resources, she moves from where she lives in Birmingham to northern Scotland, because it seems that the people there have a real need for a bookstore and her mobile one is even a better idea, because she can travel to lots of small towns. Soon, she finds herself becoming part of a community–and maybe even finding love. 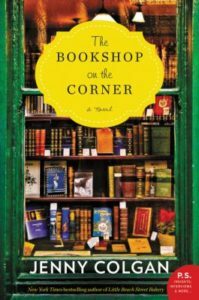 Jenny Colgan’s The Bookshop on the Corner is a charming novel filled with quirky characters, friendship, and romance. 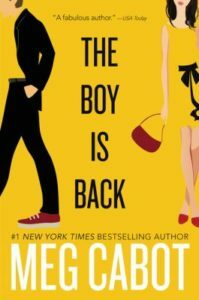 Take one part Meg Cabot’s (of The Princess Diaries fame) brand of romantic comedy and one part modern epistolary novel and you get a delightfully endearing story. Told through phone chats, social media messages, journals, and emails, The Boy is Back follows high school sweethearts Becky and Reed as they reconnect after a decade apart. Mix in a wacky family, small town shenanigans, and a few misunderstandings for a sweet and breezy read. And if you’re a fan of epistolary novels, check out our list. The relationship of the eccentric painter Vincent van Gogh and a young prostitute Rachel begins in the French city of Arles where van Gogh has escaped from Paris to explore a new movement in painting. His never ending search for the perfect model leads him to Rachel and their love for each other grows more intense and tormented as van Gogh struggles with the demons in his soul and mind. The letters between van Gogh and his brother in Paris reveal many of the known truths of this deeply gifted artist and his life story. 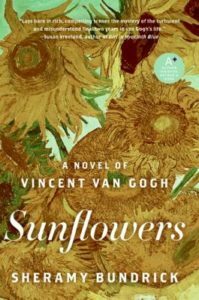 A recent trip to the van Gogh Museum in Amsterdam was a fascinating comparison of the book, Vincent’s artwork, and his love for a young prostitute looking for her own escape. Check out Sunflowers by Sheramy Bundrick today. When renowned pastry chef Olivia Rawlings sets a banquet hall on fire with her Baked Alaska dessert, she decides that it is time to move on and find another job and another life. The safest place she can think of is Guthrie, Vermont, where her best friend Hannah lives. 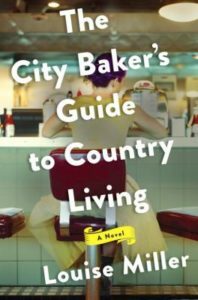 The City Baker’s Guide to Country Living is delightful and fun to read. Olivia comes to realize that the small town offers her a sense of belonging and purpose. This sweet story from debut author Louise Miller is filled to the brim with yummy desserts and warm feelings. A treat! Stay tuned for other foodie fiction – a featurette is coming from Jennifer later this month. In this charming romantic comedy, the central character is this season’s hottest little black dress. Told from various points of view, Nine Women, One Dress shares the stories of an ensemble of New Yorkers whose lives are touched by the “it” dress. Despite jumping from character to character (men and women), the engaging story flows smoothly and keeps you invested in all of the lives we visit. 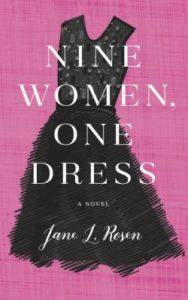 Jane L. Rosen’s debut is a delightfully lighthearted read.